Designed to load timber on any moulder, this Infeed Table is a must for any efficient, productive, and above all, safe operation. The Infeed Table takes the back breaking hard work out of loading a moulder. Not only does it improve Operator Health and Safety, but the heavy duty construction and smart design features ensures the boards will be feed butted up continuously all day. 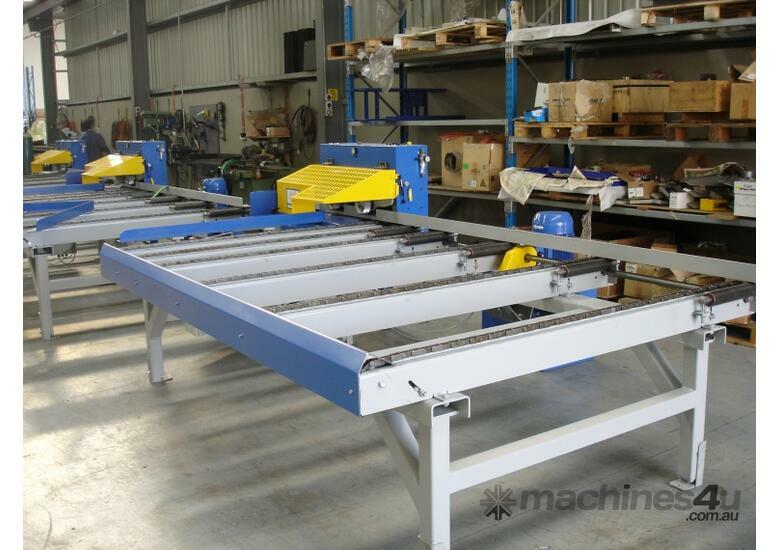 - With smart design features the Infeed Table is a low cost alternative for loading a moulder. 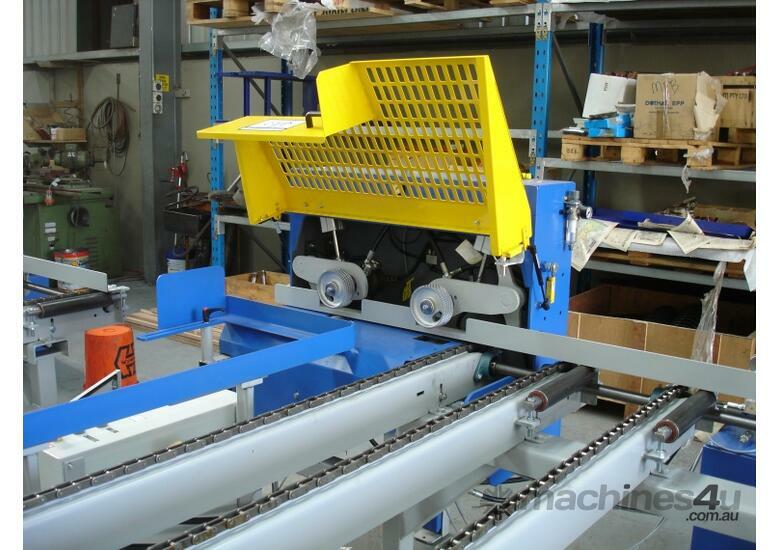 - Keeping the design simplistic ensures the machines speed, accuracy and longevity with minimal maintenance required. - Heavy duty chains, bearings, steel, and legs are used to withstand the most rugged of conditions. - The unique dual driven roller setup - both top and bottom rollers are driven - generates an unrivalled positive drive on each and every board, no matter what the size. - Helps reduce OH&S concerns and eliminate operator back complaints. Operator safety is of the up most importance and any responsible employer should provide a safe working environment for all their workers. - Only high quality components such as; Norgren, Sick, Lenze have been used and are available worldwide. - Machine comes assembled; put in position, connect up air and electricity.......machine is ready to go! Our cutting edge designs are done using state-of-the-art 3D design software. Coupled with CNC machinery, a high standard of accuracy and reputability is ensured on all our products. As well as designing and manufacturing of specialised custom products in house, we source standard machinery from local and overseas suppliers. 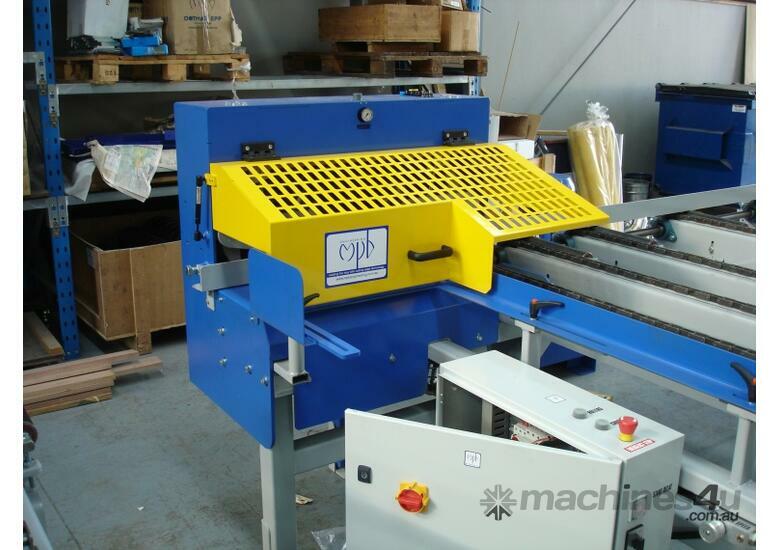 We can supply almost any type of woodworking and finishing machine available.